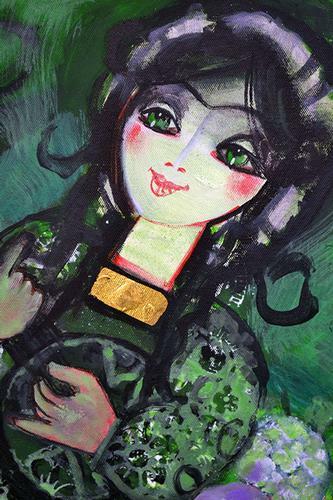 This is a large colorful Nasser Ovissi original oil, gouache and gold leaf on board hand signed by the artist. Comes with custom contemporary wooden galley frame. 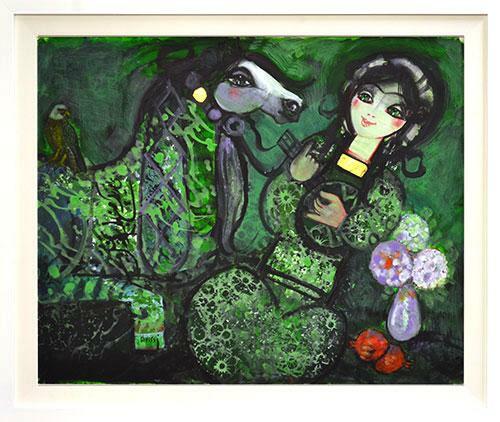 Nasser Ovissi is an American-Iranian painter whose work is characterized by stylized figures of Arabic women and horses. Set amidst geometric patterns and decorative elements, his figures seem to merge into and out of the space behind them. “My work is dedicated to the beauty of life and I hope those who experience my work will walk away with an experience of beauty.” Born in Tehran, Iran in 1934, Ovissi studied Law and Political Sciences at the University of Tehran before studying fine art at Beaux Fine Art in Rome. 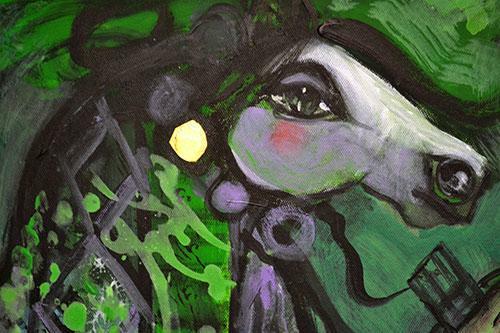 The artist has achieved numerous awards and honors, including being exhibited at the 1959 Paris Biennial and a Grand Prize at the 1962 Biennale of Fine Arts of Tehran. 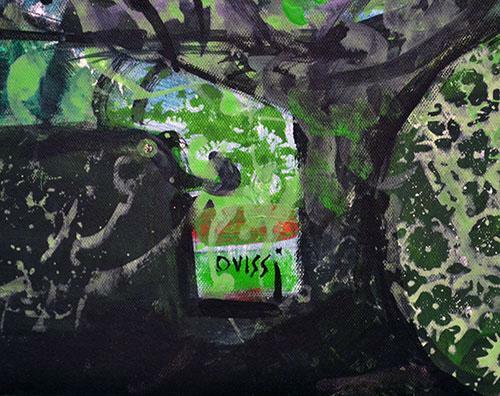 Ovissi lives and works in Reston, VA. His works are included in the collections of the Contemporary Art Museum in Madrid and the National Art Gallery of Greece in Athens.